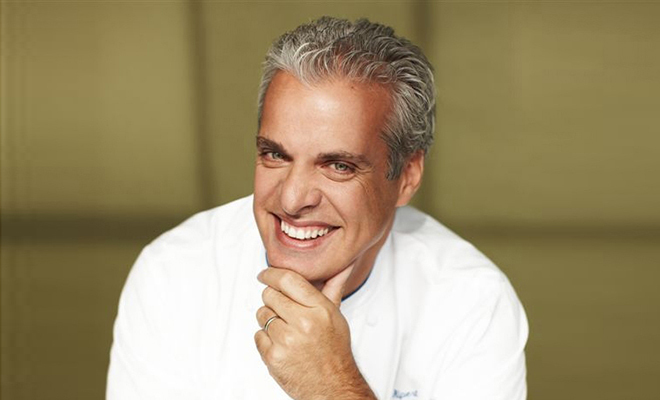 ric Ripert began cooking in Paris at the age of 17 at La Tour D’Argent before moving to Jamin to work as Joel Robuchon’s poissonier. 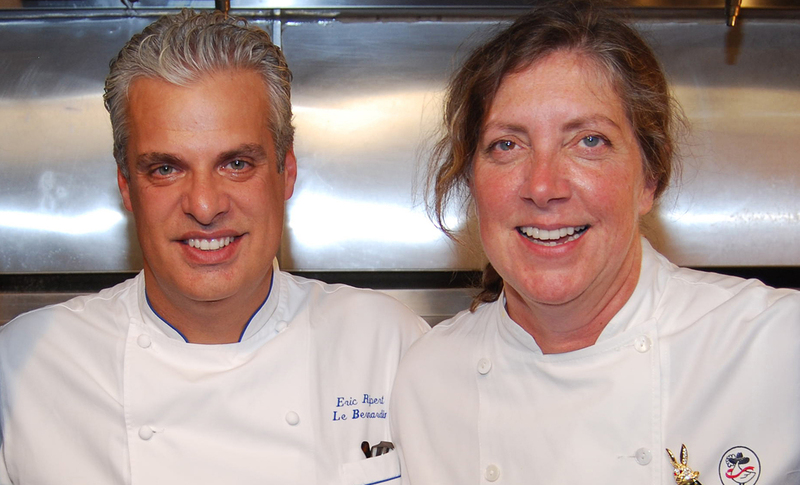 He then moved to Jean Louis, where he worked with Jean-Louis Palladin before joining Maguy and Gilbert Le Coze at Le Bernardin. 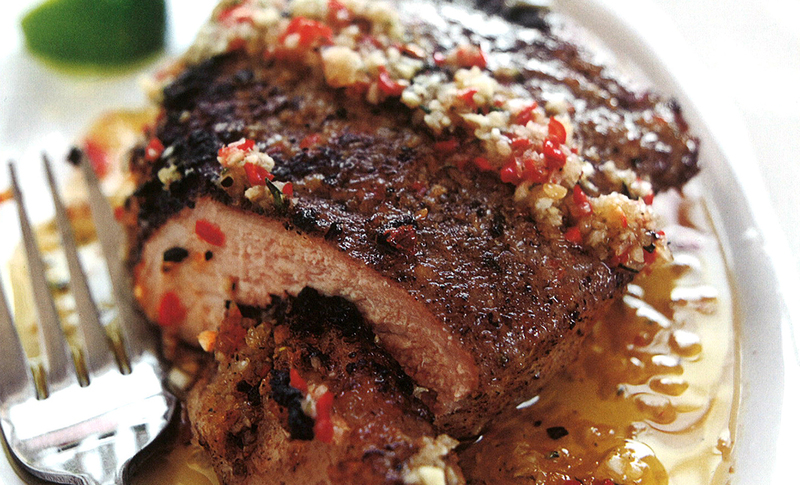 In this recipe by Chef Eric Ripert, Berkshire pork chops are generously rubbed with jerk spices and allowed to marinate for several hours before grilling. 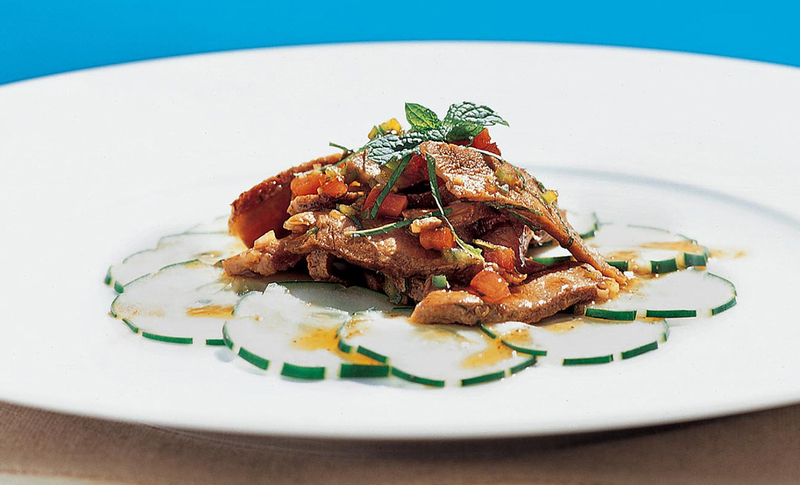 Make Chef Eric Ripert's recipe for grilled lamb chops served with a bright vinaigrette of lime, soy, ginger and mint, and a cucumber salad. 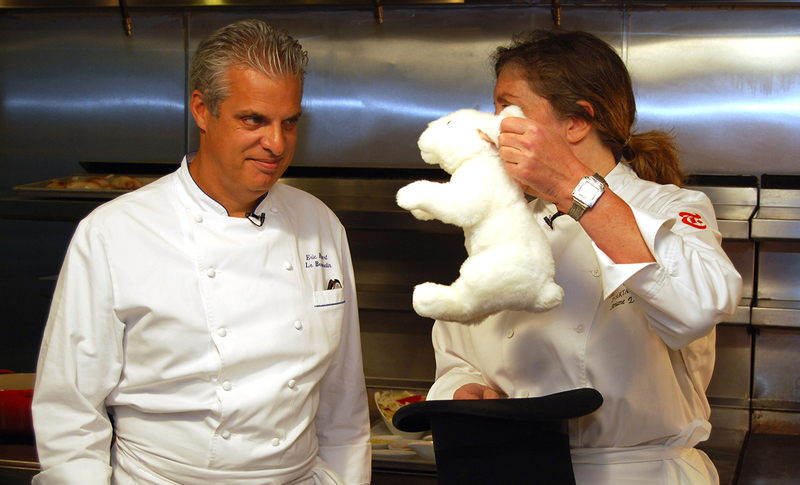 Make Chef Eric Ripert's classic recipe for Coq au Vin - chicken with wine sauce - for Sunday supper. 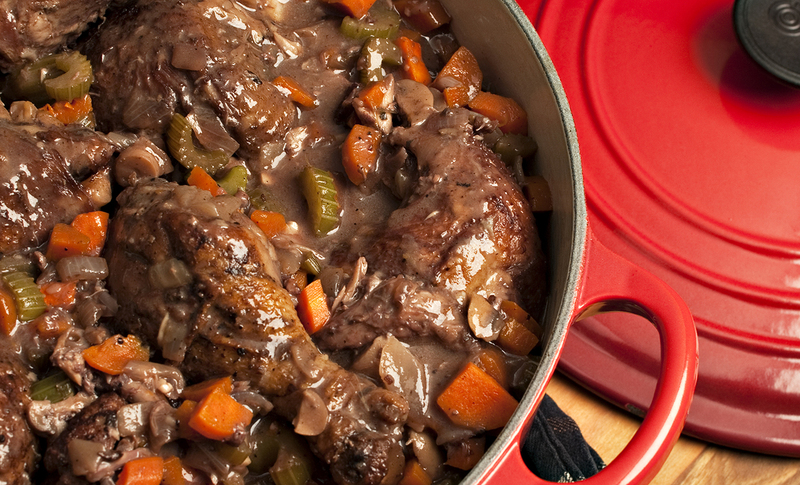 Serve this rich dish with a loaf of country bread.